It’s kind of hard to believe we’ve gone this long without any mention of the Freeway Speedway series. 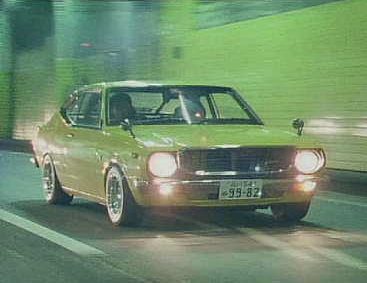 The six films followed a young driver making his way in the illegal Shutoku battle scene of the 80s and 90s. At the time, night-time racing around Tokyo’s Shuto expressway loop was at its peak and lawbreaking displays of speed were practically a nightly occurrence. 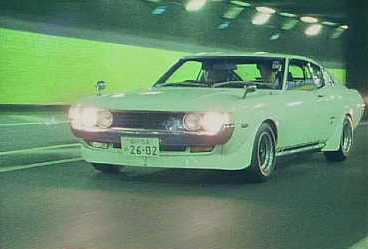 The street scenes were filmed on actual highways, and word has it that the after the initial film — which starred a DR30 Nissan Skyline and S130 Fairlady Z — Japanese authorities banned the sequels from cinema release. The rest went direct to video, and even enlisted Keiichi “Drift King” Tsuchiya to warn kids about the dangers of street racing in an effort to quell any concerns. However, many rumors surround the films, and we suspect that their straight-to-video status had as much to do with weak plot lines as any controversy. Don’t let these screenshots fool you, though. We’ve been selective, and nostalgics appear for only a split second. The stars were always high-powered Japanese cars of the era, cars like the MA70 Toyota Supra Turbo, Z32 Nissan 300ZX, FC and FD Mazda RX-7s, and the R32 GT-R. The sixth film, though completed, was banned even on DVD, and has never been sold in Japan. However, the whole set is available outside of Japan under the name Tokyo Speedway. We like the original Japanese title better: Megaopolis Expressway Trial. Here’s a few clips starring the hero’s DR30 from the original. tagged: 280zx, 300zx, celica, corolla, datsun, dr30, fairlady z, freeway speedway, gt-r, mazda, nissan, r30, r32, rx-7, s130, shuto, shutoku battle, skyline, supra, tokyo speedway, toyota, wangan. Wow, that body roll is pretty amazing! That kind of maneuvering looks pretty possible considering those tires. Still, I would pretty much sell a kidney to have a DR30 like this one, or preferably a tekkamin version. Paul Newman would be so proud of me. I second Sr-FairladyZ: I have crappy copies of all on VCD / DVD under the “Shuto Expressway Battle” titles. I got mine off of eBay a few years ago for pretty cheap. 6 films?! I found the first one at Best Buy of all places, like 5 years ago, and promptly freaked out, and bought it, in that order. I had no idea it was part of a series, the search is on! I don’t think straight to video has anything to do with cheesy plots, I suspect that it being an old school JAPANESE movie is the culprit! That being said…….Cool vid! Reminds me of my street racing days, the things my buddies and I would do just because we could!!! Well, when the cops weren’t there to tell us we couldn’t! I don’t know what Best Buy’s you guys shop at, but the ones around here sucketh!!! The sequels went direct-to-video in Japan too. i’ve had this box set for a while and the first movie was the best! My SSR EX-C Superfins came off of a DR30, when they shipped them from Japan.